We invite you to join Contemplative Outreach of Connecticut Chapter for two mornings of Learning and Community Enrichment. 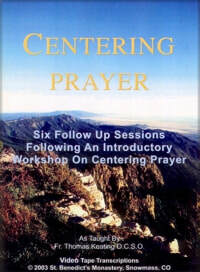 These six follow up sessions were designed many years ago by Father Keating to come after the Introductory Workshop so those new to the practice would be given a firm grounding. It is a video presentation by Father Keating and will be followed by a facilitated discussion. These workshops will help to establish a foundation upon which to build one’s individual practice as well as the practice of Prayer Groups. Check-in at 8:00, Program 8:30 – 12:30. Requested Donation: $45 in cash or checks payable to Contemplative Outreach of CT the day of the event. Donation includes a bound copy of the Transcript to this program and light snacks.